Op 15 juni vindt een online seminar plaats over de kansen in de water- en milieusector. De focus ligt op subsectoren waar Spanje veel uitdagingen kent en het land zelf eigen middelen en technologie tekort komt om te voldoen aan de toekomstige vraag (rest artikel in het Engels). 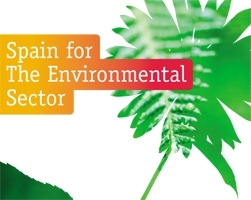 The 15th of June 2009 an online event will b e held about the business opportunities in the Spanish environmental and water sector. This so-called webinar will highlight the areas where Spain faces significant challenges. As in reality it looks unlikely that Spain´s own resources will be sufficient for the future to introduce the number of changes required within the timeframes stipulated. Foreign companies can benefit from these "insufficient Spanish resources" by providing solutions that feature techniques which offer characteristics that have advantages over current techniques. Those opportunities lie in the fields of waste management, both municipal and hazardous, with particular emphasis on certain materials such as plastics and rubber, and including separation and energy generation. In addition, the Spanish government has budgeted generous sums for soil remediation and certain elements of water distribution infrastructure that can offer interesting opportunities for companies that offer relevant products and services. Keynote speakers of this event will be Mrs. Sharp (Invest in Spain), Mrs. Patricia Rullán (Tecnoma S.A) and Mr. Reig (13 12 agua y recursos s.l.). Remote control systems for pipe leakage etc. Click for more information about the speakers and to register for this interesting Invest in Spain's event.